With gamer-geek hat still squarely donned following last week’s review of Fighting Fantasy gamebooks, today I want to chat about hit points. First off, I think it’s safe to say that the concept of hit points revolutionized gaming for all time. Its influence is seen in almost every video game in existence today. Any arcade game that featured a life bar in the corner of the screen, growing shorter with each bit of damage inflicted until the inevitable “Game Over,” originated from the idea of hit points — a scale that keeps track of the damage a character has sustained and that lets the player know how much more punishment the character can take before he/she either has to retreat or drink a healing potion or die. 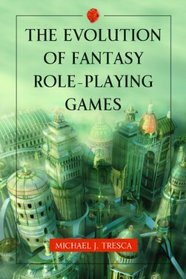 What got me thinking about this was reading Michael J. Tresca’s book The Evolution of Fantasy Role-Playing Games (2011). Tresca notes that hit points were introduced by Gary Gygax and Dave Arneson in the 1972 wargame Don’t Give Up the Ship! from Guidon Games (p 50). They would later incorporate it into their most famous collaboration: Dungeons & Dragons. 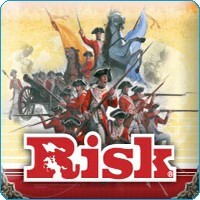 In prior strategy wargames, the winner of a skirmish was determined by first move, rank, or number of troops (sometimes with the added luck factor of a dice roll). First move is employed in chess or checkers. If your knight lands on my pawn’s square, I lose my pawn. But if my pawn lands on your knight’s square, you lose your knight: There’s no question of whether a pawn could beat a knight in combat, or whether the knight might be able to defend his square against some lowly upstart pawn — even if the pawn did get the drop on him! In a game like Risk, number of troops generally determines the outcome of who wins in a battle between neighboring territories, but not always. Since dice are rolled, there is an element of uncertainty introduced into the equation. A smaller number of troops might attack a larger force and, with some exceptionally lucky rolls of the dice, emerge victorious. Hit points (along with Armor Class, another innovative concept introduced by Gygax and Arneson) took combat several steps further toward a realistic representation, and changed the face of gaming. But the function of hit points (HP) as epitomized by D&D has always had its detractors, especially among those role-players who want their fantasy games to reflect reality as closely as possible. The misconception arises when critics conflate hit points in D&D solely with the amount of physical punishment a character can take. They scoff at the notion that higher-level characters will often have in excess of 100 hit points. A typical first-level character starts with around 8, so can be struck down with a single swing of a battle axe. Yet this same chap, ten levels on, can take about a dozen such axe-blows before he starts to feel it? C’mon, a blow to the neck with an axe is going to leave you sans head whether you’re first level or tenth. Right? Other role-playing systems like Steve Jackson Games’ GURPS (Generic Universal RolePlaying System) tried to ameliorate this seemingly unrealistic growth in stamina by limiting hit points greatly. 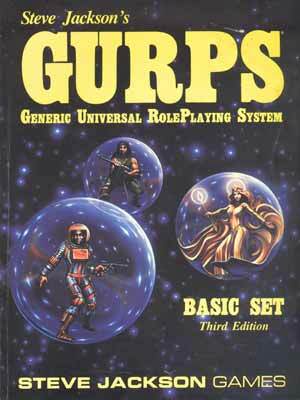 HP remains relatively static in GURPS regardless the level your character attains. But some critics miss the point iterated in the DM Guide; namely, the steady increase of HP with levels reflects other intangibles besides physical toughness: like being battle-tested, savvy, experienced. To illustrate by way of a fantasy story with which most are familiar, The Lord of the Rings: If you or I were foolishly to walk onto a battlefield swarming with orcs, how long would you give yourself? Ten seconds? Fifteen? Me, I hope I could hold out a minute or so, maybe stab a couple before they saw me coming, but I’m being very optimistic. Now take Aragorn (who in D&D would be a high-level Ranger), striding out onto the same battlefield. This hero of legend would not just survive longer; he’d be more likely than just about anyone to come through it alive. That’s not because he could take any more spear thrusts to the chest than you or I, but because he’d be far less likely to take that spear thrust in the first place. He could dodge, parry, defend, rely on his battle-honed reflexes and intuition to oustmart and outmaneuver his foes. This is what high HP reflects. Most videogames, though, have only reinforced the misconception, having been programmed to equate HP (or its equivalent) strictly with physical stamina. So in most videogames, if a dragon spews fire on your newly-minted character, your character is toast (perhaps rendered as his flesh turning to ash and his skeleton collapsing into a pile of charred bones); however, once your character has upped several levels, he can take numerous head-on blasts from that same dragon without so much as singeing his hair. These games do not reflect the more subtle idea that your higher-level character is now doing a better job of ducking, sidestepping, using angles and obstacles to avoid the full brunt of that blast. No, he’s still taking direct hits on the screen; he’s just taking more of them without noticeable effect. That’s not what should be envisioned when role-playing. Yes, physical ability to absorb pain is a part of it, the part probably best represented by the extra HP a character gets from having a high Constitution score. A nasty war wound that would send an average Joe into shock might be shaken off, at least temporarily, by a veteran, battle-scarred warrior. But much of the increase reflects a rise in skill, not to mention that good ol’ heroic luck factor that all our heroes have to have a bit of, so they can reach the end of the narrative and give the bards something to write songs about. In some cases, we may even posit a bit of divine intervention from a kind deity who turns that random arrow aside at the last instant — rather than having the hero collapse with blood spurting from her neck before getting past chapter three. That HP is meant to be understood in this way, and not to be construed as high-level characters simply growing impervious skin, is underscored by the rule articulated in 3rd Edition D&D of the Death Blow. The Death Blow posits that if a character (player, non-player, or monster) is somehow completely incapacitated — say, paralyzed or in a coma — with no possible way to move or defend, another person can, in a single round (defined as six seconds in the game) deliver a coup de grace, or killing blow. If that paralyzed character’s 98 remaining HP really represented the amount of physical punishment his body (somehow, against all laws of physics and common sense) could absorb, then the would-be killer would have to stand there for a couple minutes stabbing vital organs repeatedly, thirty times over. So the designers of GURPS and similar RPGs maintain a higher level of verisimilitude, as they see it, by ensuring that a bullet to the head of a high-level character is just as lethal as it is to a low-level character. It’s worth noting, though, that those other games have separate factors that account for luck, skill, and intuition that fall into the catchall of HP in D&D; they just parse out those elements into their own categories. Again, in GURPS, a high-level character — because of the aforementioned factors — is going to be less likely to take a bullet straight to the head. What about a fireball or some other huge explosion that incinerates everything in its path? Tresca writes, “Massive-damage rules were later installed… that ensure the character has a chance of dying from such terrible events” (p 53). I confess, I’m not familiar with those rules. I’ve probably read them on some variant list, but I’ve never used them. Yeah, when a series of fireballs go off in a room with no significant cover and your characters are still standing, that may get a little far-fetched. But, hey, it’s just a game. I take it that you’re not a Euchre player? Just messing with you, as the technically, the ranks are shuffled around due to trumps and bowers (or bauers), so the ranking system still holds true. I was surprised by your claim that Gygax and Arneson developed the concept of hit points. I don’t know RPG history very well but I would’ve thought that some early Avalon Hill type war game would’ve held that title. Cool article. Thanks for posting. The problem with the luck, etc. explanation is that you had to heal up all those hit points. If they weren’t actual wounds, how could they heal? Wow, this is taking me back to the Dragon Magazine letters column circa issue 50! Christopher: Guilty as charged–I’ve never played Euchre. Joe H: I think you’re joking–but if they really did talk about it in issue 50, you have a crackerjack memory! Yes, mostly joking — it’s been decades since the days when I’d pull out and reread all my issues of Dragon — but I do fondly remember a lot of these kinds of discussions taking place in the letters columns and in articles back in the day. Was always one of my misunderstandings that had me tar D&D with the unrealistic brush. RuneQuest (well third edition by Avalon Hill) did the whole global hit points and body map thing. So if you are damaged you loose in an area as well as global, so theoretically you can be down to low scores everywhere but die of blood loss. Realistic but more admin. Your HP don’t tend to go up unless somehow you train up your Constitution and even so it would be marginal. So more like your explanation of GURPS I guess (never experienced that game) where as your character progresses and gets better weapons, armour and gets better at parrying, dodging and attacking (getting the drop) he “improves” but end of day is still realistically vulnerable. Then again RQ is lethal and my usual advice to a player coming in with no or only D&D experience is to roll a reserve up. The first RPG campaign I ever played was cobbled-together Frankenstein of a system, with Runequest’s damage system, sanity damage grafted on from Call of Cthulhu, rads from Morrow Project. You name it, if it could model the campaign with greater granularity of detail, it got transplanted on somehow. After cutting my teeth on that, every other system I’ve played or run has had too few megapixels. I grew up as a gamer with characters who took blows to the wrist, the face, the mind–and who delivered blows that specific to their foes. Playing D&D, taking and dealing damage to the body, just the body, felt deficient in narrative. At the other extreme, there’s the rules Professor Barker and his Thursday Night Group used for adventuring in Tekumel — if I remember correctly, it was basically: “Roll dice. Low good. High bad. Work it out amongst yourselves.” But obviously you need a very particular set of players for that to work. Speaking of wrist, face etc, Harnmaster has a nice table of that, where I think odd rolls are left and evens right and then a whole table of where specifically you get hit. Makes for some decent detail in terms of “the sword slices your left ear off”. Of course like RQ there are mods for high and low for a bit of realism. Another system I recall enjoying was Top Secret SI. Also blocks per body area defining how much damage can be taken, but as I recall (unless it was a house rule) you marked half block for bruise full block for wound. If you maxed out on bruises then you staretd marking the other half block so 2 bruises become a wound etc. The last two comments from Joe H. and Tiberius illustrate–quite intriguingly, I think–two extremes on the continuum of gaming. Maybe I’d informally refer to these extremes as the Pure Storyteller at one end and the Realism Rules Stickler at the other. The discussion has got me writing a blog post on the topic. There is always some give-and-take with these systems and their levels of realism, which, of course, factors heavily in to which one a particular game master and party decide to use for their campaign. I’ve also played systems that break down damage to specific body areas, so that instead of deducting damage from an amorphous pool of hit points that has no effect until your character drops dead, you role-play specific wounds–you now have to fight left-handed because a tendon in your sword-arm has been severed! You are now hobbling on one leg because the ogre’s club just shattered your fibula! There is a lot of appeal to this level of accuracy in theory; in practice it can really slow down a game as you refer to various charts etc. So the trade-off is realism versus flow. Such merits and drawbacks are worthy of further discussion; I’m working on a follow-up toward that end.